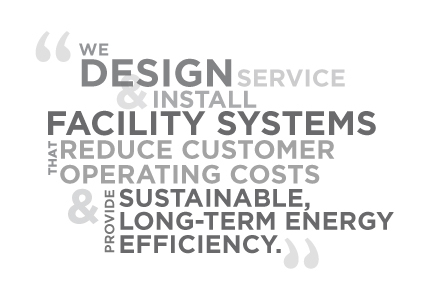 Perfection has the capability to design, engineer, install, service, control and retrofit systems, and we are accountable for the design, construction and performance of those systems. If applicable, we visit your building and conduct an Energy Usage Analysis. Then, our team considers the long-term owning and operating costs associated with the building’s mechanical system to develop a plan for engineering and construction. We perform up to 95% of our own work in-house, eliminating unnecessary overhead. In addition to standard HVAC installations, such as boilers, chillers and packaged rooftop equipment, our mechanical division is involved in a variety of energy retrofits, including lighting, variable frequency drives, power factor correction and other energy-conservation measures.